Gregory Rucker, 63, of Chattanooga, passed away on Saturday, January 19, 2019, in a local hospital. He graduated from Dunbar High School in Chicago. He accepted Christ at an early age. 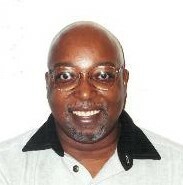 Gregory worked various jobs throughout his young life. He was preceded in death by his father, Gene Rucker and brother, Daryl Rucker. Survivors include his mother, Edna Rucker of Chattanooga; brother, Reginald (Deborah) Rucker, both of Chattanooga; sisters, Beverly Hunter of Chattanooga and Shumata Rucker of Chicago, IL; a host of other relatives and friends. Visitation will be on Saturday, Jan. 26, from 6-7 p.m. at Taylor Funeral Home. Funeral services will be on Sunday, Jan. 27, at 1:30 p.m. in the chapel with Pastor Gary Hathaway as the eulogist. Burial will be on Monday, Jan. 28, at 11 a.m. in Chattanooga National Cemetery.